My student Lauren Anders is doing an independent study on Jeremiah. The focus of her work is to study Jeremiah’s six laments and discover how the laments apply to the task of the ministry. One of the requirements for the course was to read and write a review of Terence E. Fretheim’s book Jeremiah (Macon: Smith & Helwys, 2002). The review below was presented by Lauren as part of the requirements for the course. Almost immediately, Fretheim’s commentary became my favorite book on Jeremiah. The depth of insight astounded me, and it was a much more accessible book than other books on Jeremiah. Not only was it more accessible, but it also provided a lot of insight into practical ministry applications. At the very beginning of the book, I found a definition for preaching that I thought was applicable to ministers today. Fretheim quotes Brueggemann, who writes that the point of Jeremiah’s preaching is “to have an impact on persons, to impinge upon perception and awareness, to intrude upon public policy, and to evoke faithful and transformed behavior” (p. 5). I believe this is a useful checklist for ministers today when they are crafting sermons. Ministers should be aware that their words will have an impact on their congregation, and ultimately, their goal should be to encourage and evoke faithful and transformed behavior. After all, if we are not becoming more like Christ, then we are missing something in our walk as Christians. A second point from Fretheim that I loved was when he wrote, “Human beings with their gifts make a difference to God and to the word that is spoken” (p. 10). I think this is important for ministers on two different levels. First, it reminds ministers that they do matter to God. Our lives have meaning and purpose, and we should not forget that we are loved. Second, it should also remind ministers that the members of their congregation also matter to God. Those in charge of churches are not the only ones with gifts; we must encourage and develop spiritual gifts in ourselves and in others. Therefore, we will be able to serve God most effectively, as the unified body of Christ. While the commentary dealing with Baruch does not relate specifically to the chapters relating to Jeremiah’s laments, I think it is important to remember that Jeremiah did not always work alone. “Jeremiah commissions Baruch the scribe to write at his dictation all the words that God had spoken to him (36:4)” (p. 23). It is easy for us to think of Jeremiah as a sort of renegade prophet, a lone ranger type, who spoke against every person in his day. If we follow such a way of thinking, we may be tempted to walk a similar path as ministers today, to turn ourselves into lone rangers. However, we are meant to work in community, and we need to remember to ask for help when needed. Just as Jeremiah commissioned Baruch to write for him, so we should seek help from other competent people when necessary. Fretheim writes that in the laments of Jeremiah, the reader can hear the voice of Jeremiah, God, and the people (p. 187). I had noticed Jeremiah’s and God’s voices since they are often in dialogue, but I had never really thought about the voice of the people. According to Fretheim, you can identify the people’s voices in 14:7-9 and 14:19-22 (p. 187). I was skeptical about this interpretation at first, but I understood the point once I re-read the text. I am not as skilled as Baumgartner or Diamond in defining all the literary parts of these laments, so I still question if they count as legitimate laments or not. However, the point I gleaned from this observation is that we need to remember the people for whom we are lamenting. Jeremiah was keenly aware of the people for whom he was praying, and we must also learn to hear the voices of those for whom we are interceding. One of the greatest challenges for me is to completely trust God and hand over the people about whom I care to Him. I want to be there for them all the time, and I want to fix things. But oftentimes, we are called to simply let go and trust that God can take care of them better than we can. Jeremiah learned a similar lesson, although his experience dealt more with justice against enemies. “Notably, Jeremiah himself does not take action against his enemies or contemplate such activity. He commits his cause to God, that is, hands the matter over to God for action – a trusting move on Jeremiah’s part” (p. 190). There are three points from this observation that I want to highlight for practical application. First, Jeremiah did not take action into his own hands. We often want to take charge and go our own way, but we must always remember that God is the one who is ultimately in control. Second, not only did Jeremiah not take action on his own, but he handed the matter over to God. This is not a passive role; this is active. He had to consciously deny his own desires to follow the will of God. Third, Jeremiah had to trust in the Lord. Letting go is a matter of trust, and we must learn to trust God with every part of our lives and ministries. While our modern-day experiences are quite different from the experiences in Jeremiah’s time, I think there are points at which people can relate. Fretheim writes, “This exilic community has literally been through hell in the recent past. Their wounds are deep, the questions fierce, and the guilt and shame are openly displayed before any public that cared to notice” (p. 199). People today have also been through hell, have deep wounds, ask fierce questions, and display guilt and shame. Such reactions to life are not unique to the exilic community; people today can also identify with such responses. And even though the exiles went through incredibly hurtful experiences, I think we can also be encouraged by their story. Even after so much hurt and pain, God did not abandon them. They were never left alone, no matter how hard life was or how unfaithfully they acted. One point on which I did not entirely agree was the matter of Jeremiah’s pain. “Just as he was filled with the divine wrath, so also is he filed with the divine pain and woundedness over what has happened to the relationship [with the people]”(p. 239). While I do not entirely disagree with Fretheim’s assessment that these feelings of pain connect with God’s feelings of pain, I think it is incomplete to say that it is only divine pain. Even if Jeremiah was echoing God’s words and was filled with His spirit, it does not mean that it erased his own self. Therefore, I would guess that Jeremiah felt a combination of both divine and human pain when confronting the people’s rejection of God. 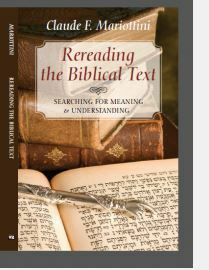 This entry was posted in Book Reviews, Hebrew Bible, Jeremiah, Old Testament and tagged Hebrew Bible, Jeremiah, Old Testament, Terence Fretheim. Bookmark the permalink. Great paper…I enjoyed reading it and seeing the different ways we can apply it to our lives today. Thank you for sharing your work. You are not only submitting a paper but ministering to countless others like myself with your insights from the word of God. 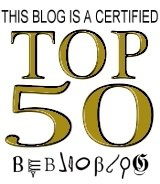 Thank you also Dr. Mariottni for your blog and your ministry.. Thank you for your comment. 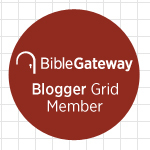 This is my goal as I blog: to help people learn more about the Old Testament and receive blessings from God’s Word. I am glad you enjoyed the post. Come back again and feel free to leave your reaction to what you read.